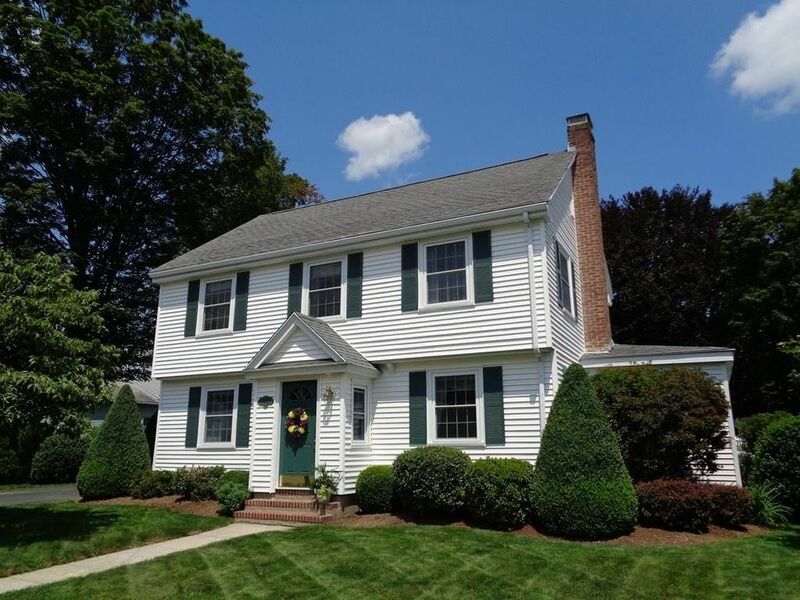 Lovely, center hall Colonial on desirable Richard Ave! This charming home has been lovingly restored and updated, combining quaint, old world features with modern amenities. Kitchen is well appointed w/stainless appliances, HW floors, recessed lighting and granite counters. Super cute dining room w/built-in china cupboard, wainscoting and HW floors. Delightful, brick front entry w/original polished newel posts, balusters and charming 2nd floor balcony sitting area. Spacious, front to back family room w/wood burning fireplace, leads to a sweet home office/sunroom w/French doors, that would also make a great playroom. Remodeled 1/2 bath and petite rear entry hall opens to the STUNNING, pollinating gardens and brick entertaining patio, perfect for private evening dining. 4 bedrooms w/HW floors, partially finished lower level w/stone fireplace & 1 car garage w/dbl driveway. Updates include roof, windows, doors, lighting, 200 amp, HW heater, CENTRAL AIR, appliances, gutters and BOTH baths! Directions: Maple Ave to Richard Ave (across from the police station), see sign on left, corner lot.